this book is whether these five theses, when conjoined with Conciliar Christology, imply a contradiction. This study does not undertake to defend the truth of Extended Conciliar Christology. 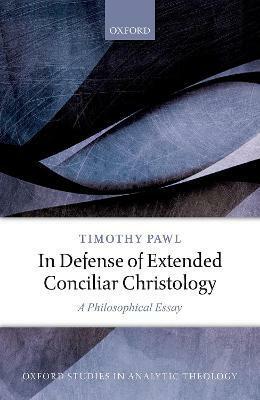 Rather, it shows that the extant philosophical objections to Extended Conciliar Christology fail. Philosophy of Religion, among other places. His publications include In Defense of Conciliar Christology (2016).